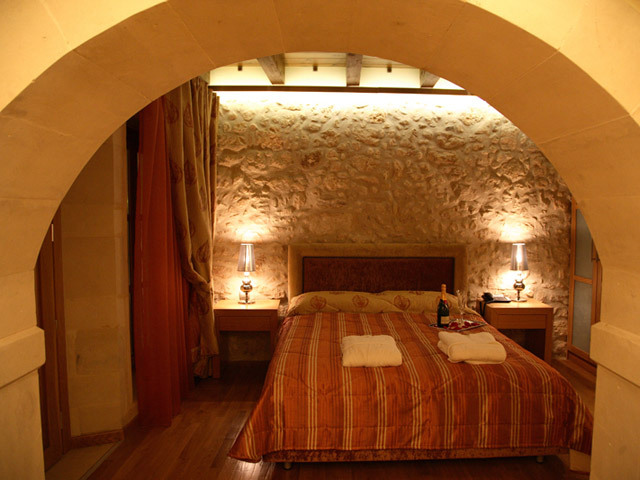 Bellagio Boutique Hamam Hotel is a family owned and managed luxury boutique hotel, set in a exquisite location in the heart of the old town in Rethymnon Crete. Operating since 2010 , Bellagio’s building has been transformed into a fine boutique hotel in Crete island offering a refined accommodation choice of those traveling for holidays or business in Crete. Within a few minutes’ walk from the historic old town of Rethymnon, the Odeon square, Crete's modern art museum, hotel Bellagio is a lively, fresh and artistic landmark on the map of the Crete's city of Culture. 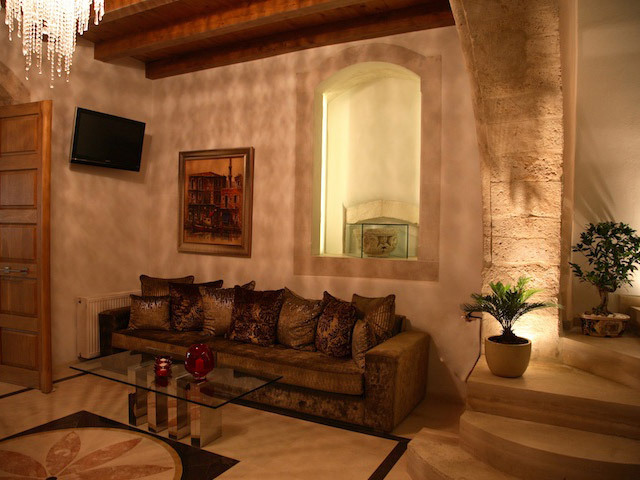 The philosophy and concern of the management is to provide to their Guests,all modern amenities and conveniences into this historical and of unique architecture building offering them an exceptional accommodation experience. 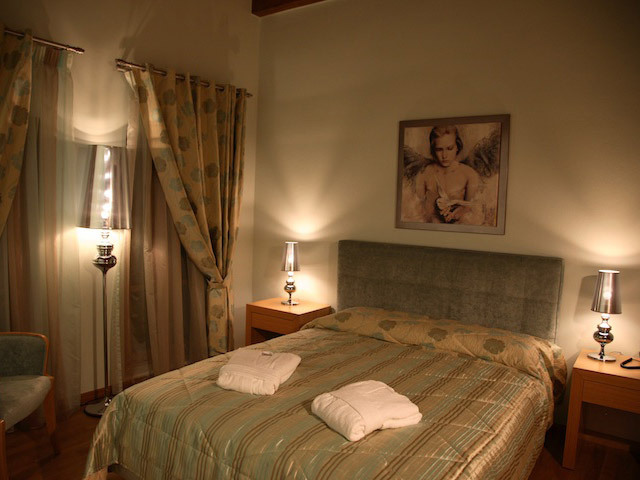 Bellagio, is considered as one of the most prestigious boutique hotels in Crete while possesses a premier position in customer preferences for the quality of stay, the design exclusiveness, and its romantic elegance. 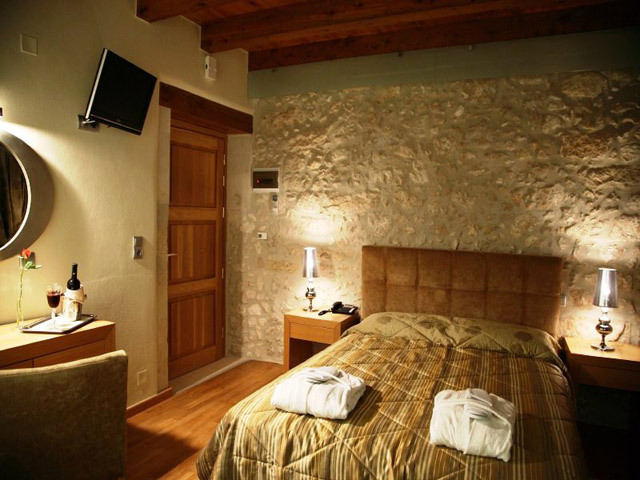 Matching stone, wood,and glass, Bellagio boutique hotel in Rethymnon town is connecting two eras together, the past and the present. The design and comfort of the lobby area introduce our Guests to the atmosphere they will experience throughout the hotel. 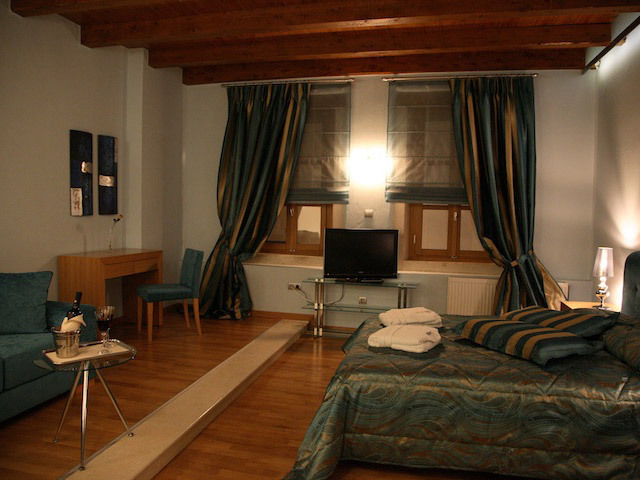 Bellagio hotel, offers excellent location, quality service ,spacious luxury rooms and hammam suites that makes it perfect for leisure or business travelers. 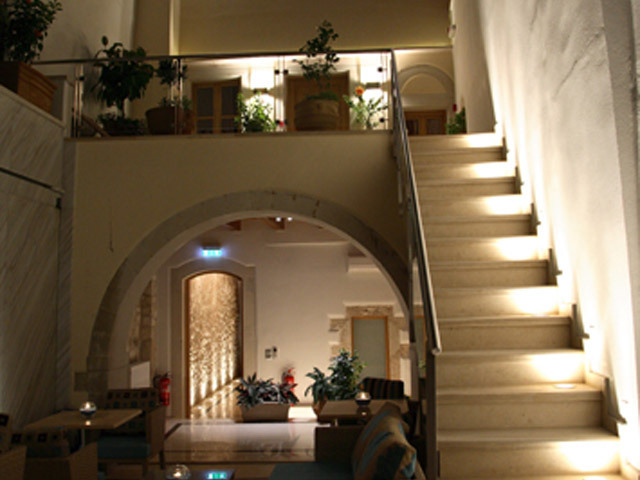 Find out one of the finest design boutique hotels in Crete and make your holidays , memorable. 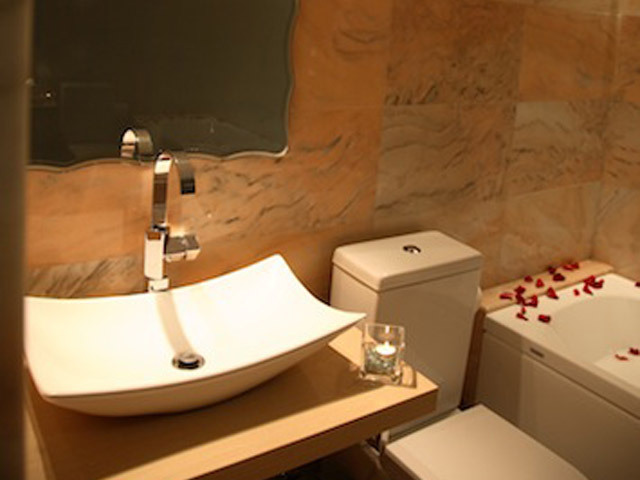 Experience a world of classy style, luxury comforts and unparalleled services . Free-wireless ADSL connection to all communal hotel spaces. 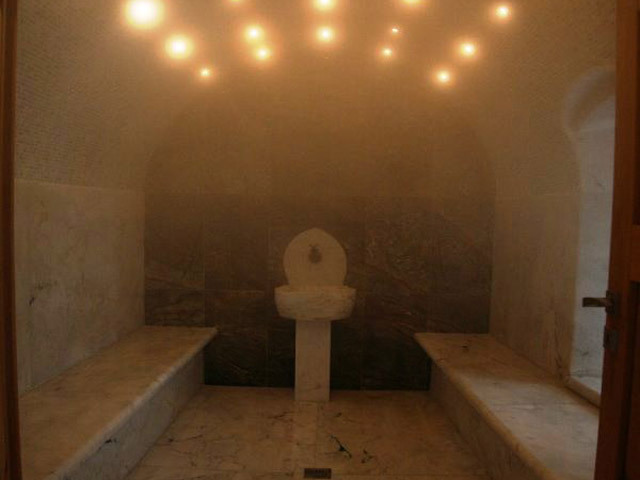 Step into our Hamam rooms and experience an irresistible new way to pamper yourself. 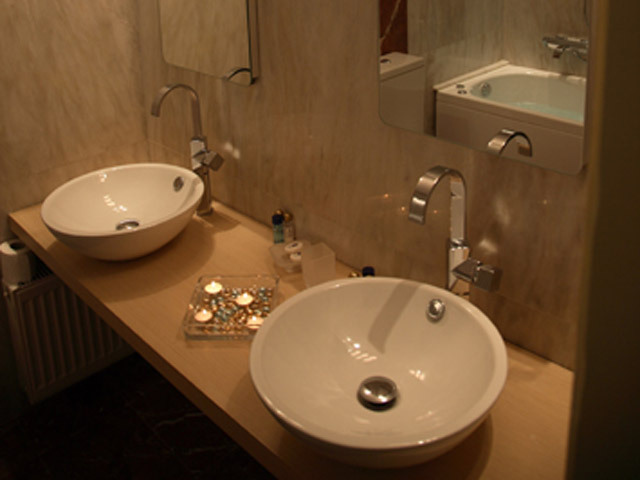 Leave yourselves in the hands or experienced professional masseurs to relax after the use of the hamam. Beverage-menu with a great variety of local and exotic drinks. 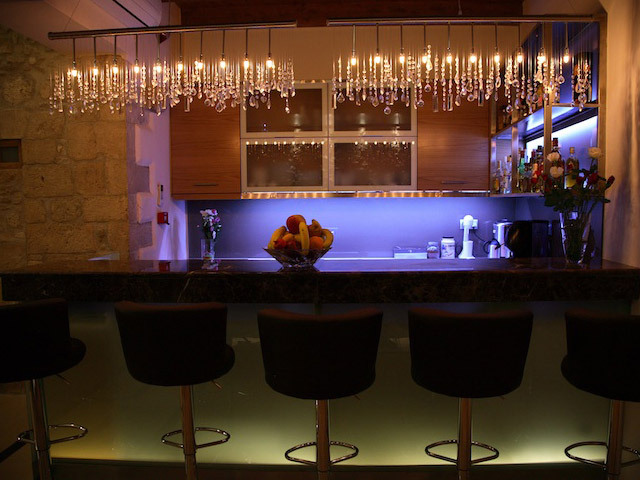 From early morning to late evening the Bar enacts a warm lounge atmosphere offering a relaxing and inviting environment for hosting any corporate or private event. 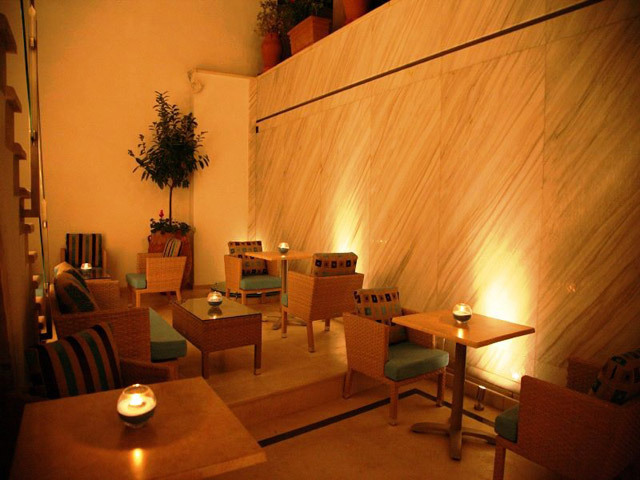 Sit in the comfortable atrium next to the marble waterfall, and enjoy a variety of hot and cold beverages from the menu-café-bar, combined with the carefully selected traditional dishes and special cold plates. 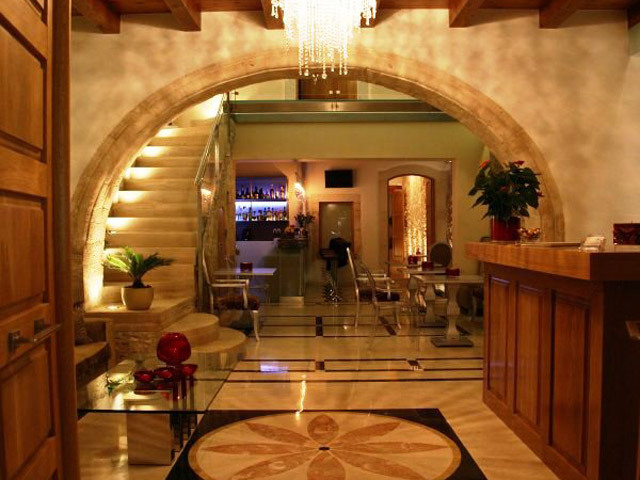 All modern amenities and conveniences are provided to ensure the experience of total comfort, providing the rare combination of a deluxe hotel into a warm and private atmosphere of this Venetian mansion in Rethymnon-Crete. 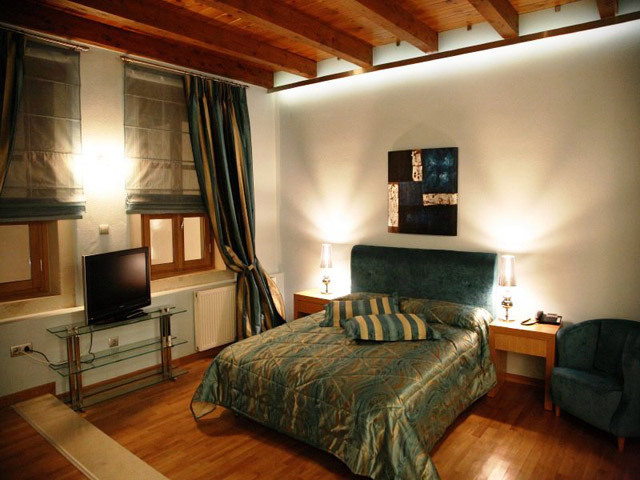 All its modern decorated superior double rooms are equipped with art-masterpieces, selected textiles as well unique furniture. Interior decor blends luxury with minimalist touches of natural materials and soft color schemes creating an atmosphere of relaxed elegance intended for those who seek superior accommodation and a series of upgraded and exclusive in-room facilities and services. 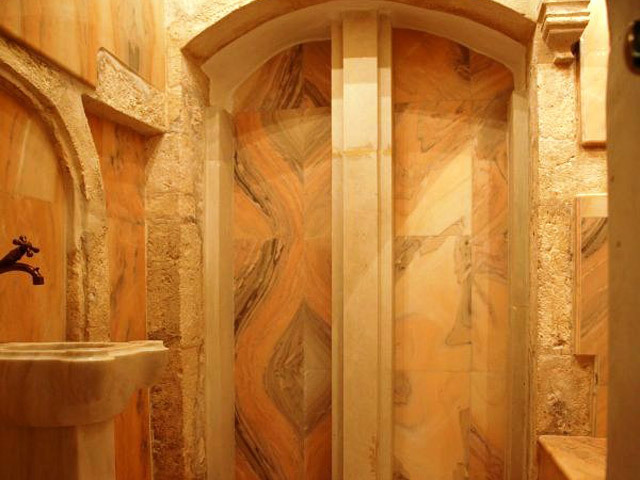 *The Erotikon Suite has its private Hamam-room and an external verandah to a marble waterfall. 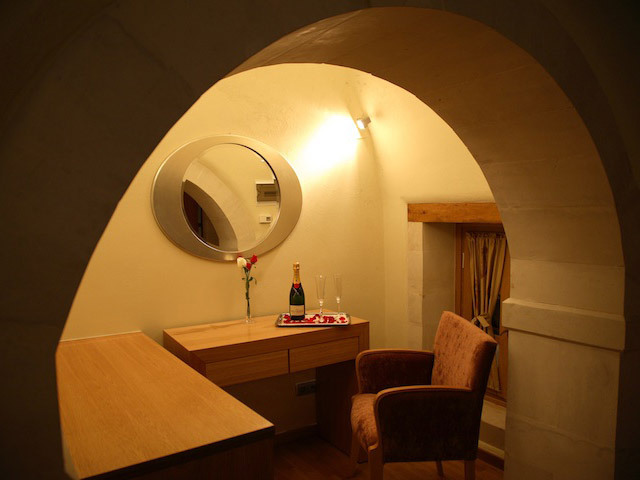 *The Superior rooms Gymno and Kouros have view to the colorfull alleys of the old town . 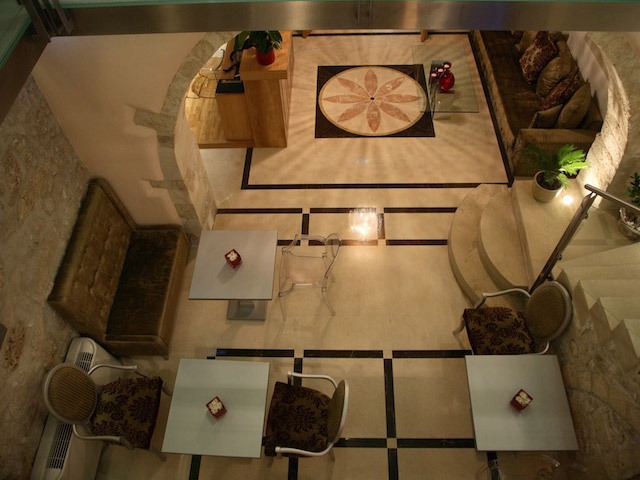 *The Superior room Gynaika has view to the atrium. 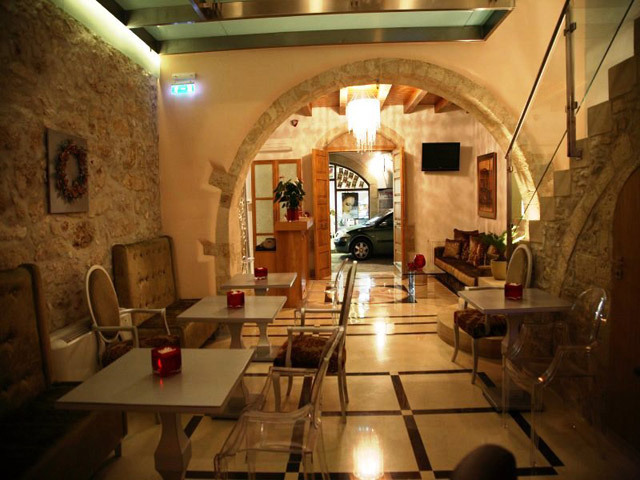 station , as well the center of day and night life of the town are not more than 10 minutes walk from the Belaggio hamam boutique hotel. Gortyna and Eleftherna archaeological sites, the Arkadi and Preveli monasteries as well all major Highlights of Crete island. airport. During the summer there are a lot of charter flights from many countries. Also there are regular flights between Athens and Crete all year round. The ports of Heraklion and Souda ports are the most importants because of their connection with Athens main port and some of Cyclades and Dodecanese islands. •	Knossos Minoan palace 83 km.